Securious are delighted that Kai Mannion, a Plymouth University Student on a 12 month placement with them, has achieved CREST CRT (Pen) qualification. 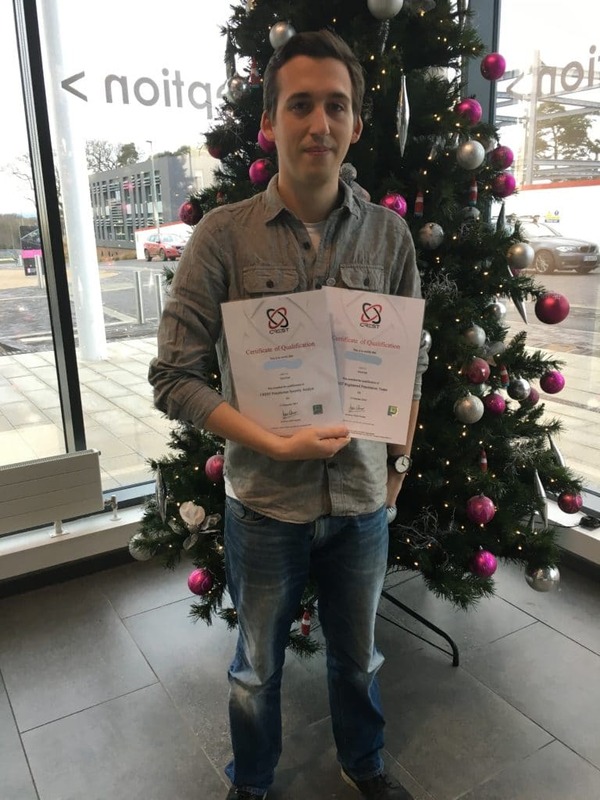 Pete Woodward of Securious said “When Kai applied to us for his placement year we were very impressed that he had already managed to achieve the OSCP qualification independently. In 2015, CREST entered in to a partnership with Offensive Security to provide OSCP certified individuals with the CREST equivalent certification, the CRT (Pen), dependent on their passing CREST’s entry level CREST Practitioner Security Analyst (CPSA) exam, which involves correctly answering 60% of 120 questions over the course of two hours. CREST is a not for profit organisation that aims to regulate the technical information security industry by providing accreditation and practical assurances to both professionals and companies alike. The CREST Registered Tester (CRT) qualification is the second step in the CREST penetration testing pathway, and is designed to assess the candidates technical knowledge of a wide variety of disciplines. The Offensive Security Certified Professional (OSCP) certification is the reward for successfully completing Offensive Security’s notoriously difficult ‘Penetration Testing with Kali Linux’ course, including the gruelling 24h exam in which the candidate must compromise a small network of vulnerable machines. The idea behind the collaboration was to drive greater confidence in the capabilities of the Penetration Testing industry by allowing Offensive Security students to obtain the more locally recognised CRT (Pen), and gain a professional foothold in the industry.